cavan-derver -- Momento Mori | Erected by Thos. GREG (?) JOHN | & LUKE MULVANY of Lisduff | as a tribute of respect to | the memory of their beloved | Father, ED__d. MULVANY | who | depd this life May 3rd 1803 | aged 72 Yrs also their sister | CATHERINE MULVANY who | depd. this life, Feb. 16th. 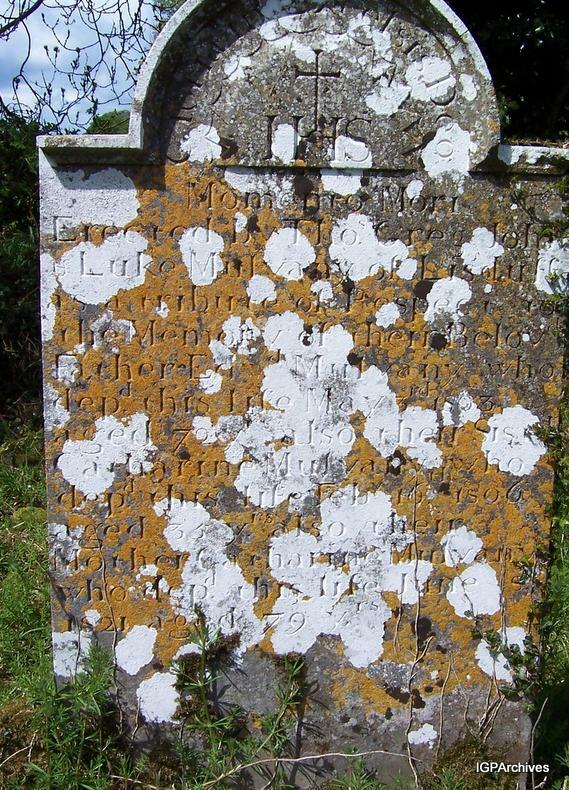 1806 | aged 35 yrs also their mother CATHARINE MULVANY | who dept. this life 8th June | 1821 aged 79 yrs.